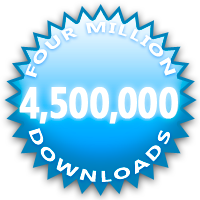 Today Bubble passed ONE MILLION downloads!! Thank you for all the great reviews and feedback! Why no mention of Clipbot on your site? It's one of the most useful apps in the Android Market. I have a suggestion for your calibration. To verify the calibration for a normal level set in place and notice the bubble location. Then rotate the level 180 degrees and note the new location of the bubble. If the level is precise, the bubble will be in the same spot with both tries. Perhaps you could include calibration program for your level which will do the same thing. The algorithm could look at the offset of the bubble, for each set, then split the difference in the calibration mode. I had this rather annoying experience. I use bubble to level my camper. But the app was (auto) updated in between. I arrived on the campingsite, the app adked to calibrate before continuing. What a situation! No surface to calibrate from. Auto update is now turned off. Not too serious but anyway....even simple apps can have their downside. Like it anyway. Keep it up!